I've blogged here before, on a personal level, about how motivating it can be to have a real sense of audience. If you know that what you are writing is going to be read, there is much more chance that what you write will be written with that audience in mind. Hopefully this results in a more interesting, coherent and well-structured post. However, I have really seen evidence with my class of how proof of audience can increase motivation. 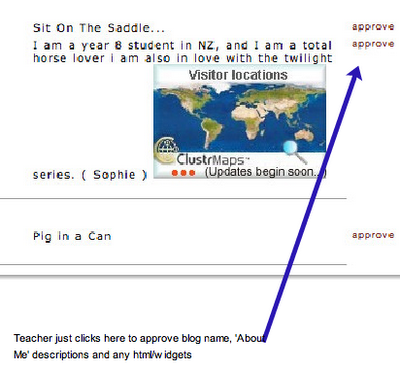 Classblogmeister has a built-in feature which allows student to see how many times their post has been read. You can see that this post has been read 111 times. I didn't point this feature out to my students, but it didn't take them long to find it (rather excitedly, I might add!). Early on I wanted to capitalise on this motivation by having them add ClustrMaps to their blogs. To guide them through the process I made a page explaining how to add a ClustrMap to a classblogmeister blog, which went through the steps and included screenshots of what they needed to do. I followed this with an example, using one of my learners' blogs. This helped most of them understand what was required. I was surprised by how easy they learnt how to do this, and this skill will be useful for them later when they wish to add other kinds of widgets as well. My learners were enthusiastic about this, and when I suggested that they tell any family or friends living overseas about their blog, they seemed very keen to do so, so they could start seeing little red dots appear on their map. These ClustrMaps also came to me for moderation, and were incredibly easy to approve using the New Approval Tool on the teacher account. I was able to approve as they came in and had them all done in about 15 minutes. One morning I called over one of my students after noticing her Clustrmap was indicating some international attention (still not sure why this one in particular received so much attention!). She was blown away by the thought that she was being read on a number of continents. I asked her if she felt more motivated to blog again having seen that: "Definitely!" 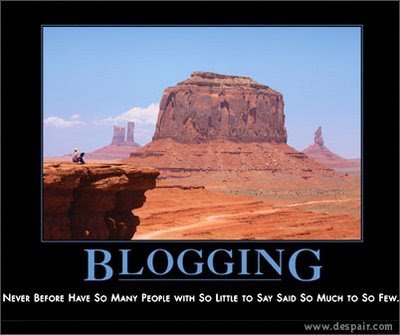 came the response, giving another reason why blogging is such an effective writing tool.